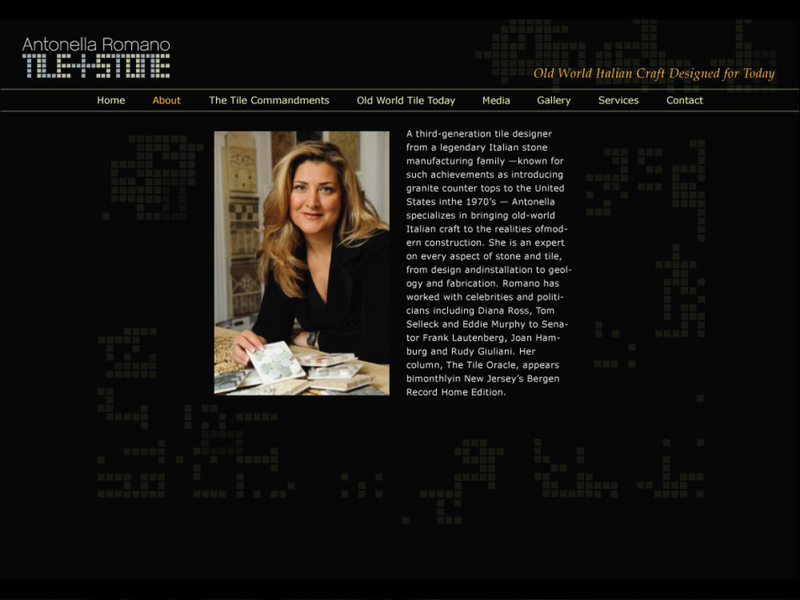 Antonella Romano is a third generation Italian tile and stone designer whose father introduced granite countertops to the U.S. in the 1970s. Antonella opened up her own business in 2010 and called it Stone and Tile Emporium. However, the industry had changed radically since her father’s era. Tile and stone used to be a luxury, and was designed and installed by old world craftsmen to be virtually indestructible. Today, tile and stone can be purchased on the internet, in hardware stores and chain stores of all kinds, and its use in homes is extremely common. So the whole basis of her family’s brand of old-world Italian craft was no longer in demand, and her family name did not carry the weight it once did. Romano came to Nutter Media for a rebrand in 2012. Nutter Media’s recommendation was to put the full emphasis on her brand’s strengths rather than try to fit in to the new substandard approach to stone and tile design, while at the same time making a case for old-world Italian craft in today’s world of quickie construction and internet sales. Nutter Media then commissioned and subcontracted a graphic designer to do a visual implementation of the new brand, creative directing the business’ logotype, redesigned site and sales materials.